Due to mismatch between demand and supply, and unreasonable rise in fuel prices most of the people would like to drive cars which run on alternative fuel, like electricity. People would naturally get attracted to drive these cars, if other things like performance, price and maintenance are at par. The development of consumer’s electric cars needs lot of encouragement from the government on two fronts, technology and incentives. This can be further encouraged by allowing people to use quote comparison and affordable insurance for such cars. This is such a issue where very little can be done overnight, car manufacturers are already working on various factors like vehicle performance, cost of production, convenience of charging, but this is so far limited to battery technology. This is obvious that when technology improves, performance will be better and cost will automatically fall. So far the charging facility of such vehicles is limited to regular household electricity sources. 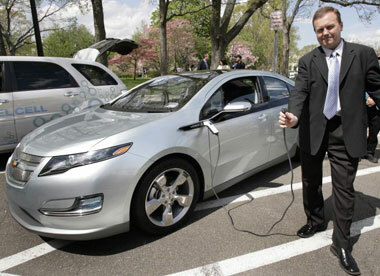 People are looking options for quick recharging at the end of each trip, so that maximum can be derived from such cars. Even if this is done, people do not seem encouraged to switch to this option, though it might sound positive, the governments needs to develop some good strategies to lure the consumers. The government can create carpool lanes, so that people get encouraged to use it for faster commutes and save lot of their precious time. This will give boost to electric car drivers and further motivate new electric car owners and drivers. This can be limited to short distances as the electric cars have a limited drive range per recharge. Abolishing tolls for such vehicles can be another incentive, which will definitely have a motivation effect on the electric car users. Like carpool lanes, even toll roads also reduce the time to commute and it is another convenience for the car owners. Offering toll discount would dramatically bring an instant quantifying financial saving as compared to single passenger carpool lanes. Further use of electric cars for the drivers who drive in big cities can save enormous money which is spent on petroleum products; government can totally abolish or reduce the parking fee for such vehicles. In big cities the biggest problem is of parking, it is not only costly but as costly as owning of the vehicle itself. A good discount on the parking will encourage people to switch to electric cars, who mostly have to commute in the city area. Normally a good amount of revenue comes from the parking fee, it might be really hard for the city government to do so, but certainly to encourage people to drive electric cars, government will have to think on this aspect. With the advancement in the technology, the gap between the performance and cost will come down; so far the internal combustion vehicles and electric vehicles are concerned. These incentives can definitely encourage people to use electric version of cars and thus help in building a cleaner environment. This will also save the precious foreign exchange normally used to buy petroleum products from other countries. Otherwise, Electric car is environment friendly. We all should have a wish, one day we will drive it. To save our nature we should avoid gasoline base car. But remember when everytime you will go for a buying a car, don’t forget to check your VIN. Check VIN for your safety.